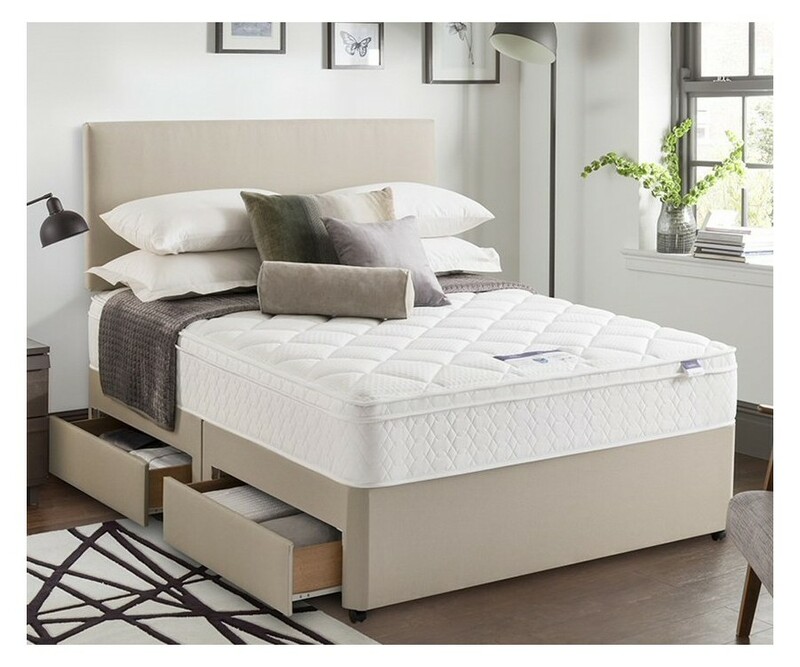 PRODUCT SPOTLIGHT: We’ve been looking at the different types of spring interiors within mattresses – most recently continuous springs. A great example of this concept is the Miracoil Spring System from Silentnight. This unit promises comfort, support and pressure relief for all shapes and sizes. It offers 750 springs, twice as many as a standard open coil, which promises no roll together for less partner disturbance. 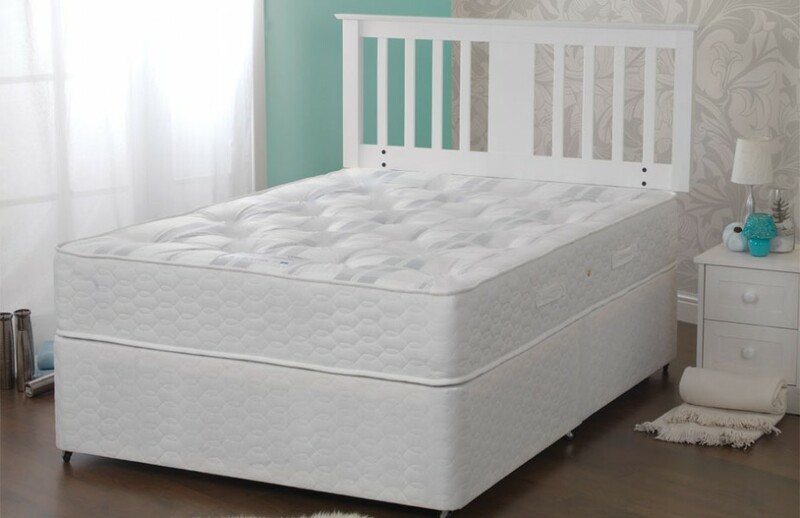 Miracoil mattresses are divided into three zones, with softer springs at the top and bottom and firmer springs in the middle to support the hips and lower back. They are sold with a range of different fillings on top, to offer different comfort levels and firmness ratings. When choosing a bed, all the different types of mattress that are available can be confusing. Coil spring, continuous spring, pocket spring, memory foam… the list goes on! To help you get the best night’s sleep, Bed Warehouse is guiding you through the different types of mattress so that you can choose the one that’s best for you. At the moment we’re looking at spring mattresses, used by the majority of UK mattresses. There are three types: open coil, continuous spring and pocket spring. As the name suggests, continuous spring mattresses are made up of a single length of wire knitted into interwoven springs linked vertically. 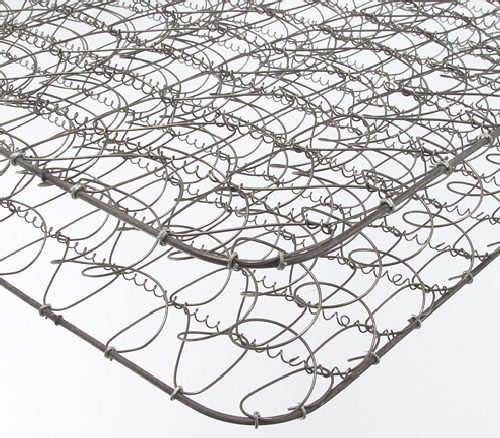 The gauge of wire used is usually softer and the size of the coils smaller than open coil, giving this mattress a higher spring count and more responsive feel. An example of this is the Silentnight miracoil ® spring unit that we stock. Continuous spring mattresses sit in the mid-price range. When it comes to mattresses it’s what’s inside that counts! When choosing a bed, all the different types of mattress that are available can be confusing. Coil spring, continuous spring, pocket spring, memory foam… the list goes on! To help you get the best night’s sleep, Bed Warehouse will guide you through the different types of mattress so that you can choose the one that’s best for you. The majority of mattresses in the UK have spring interiors to provide support while you sleep. There are three main types of spring interior mattresses: open coil, continuous spring and pocket spring. 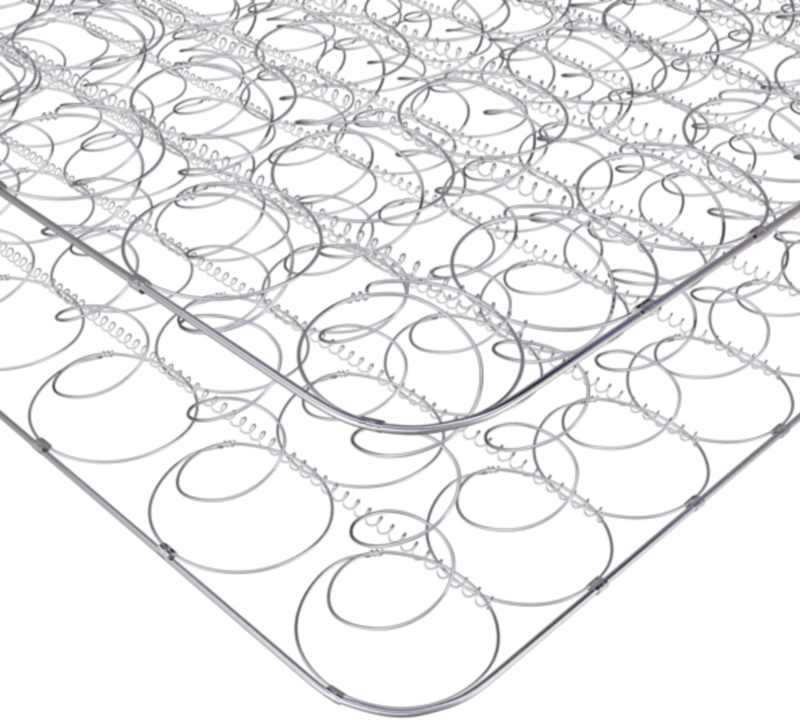 The most widely-used option, open coil mattresses have springs in rows, connected to one another, top and bottom and with an outer rod strengthening the perimeter. Open coil mattresses come in a range of tensions and are priced in the budget to mid-range of mattresses. Kelly Forrester was the lucky winner of our national bed month prize bed giveaway. It's heartening to hear that Kelly was thinking about getting a new bed soon anyway. The bed will be delivered later this week. 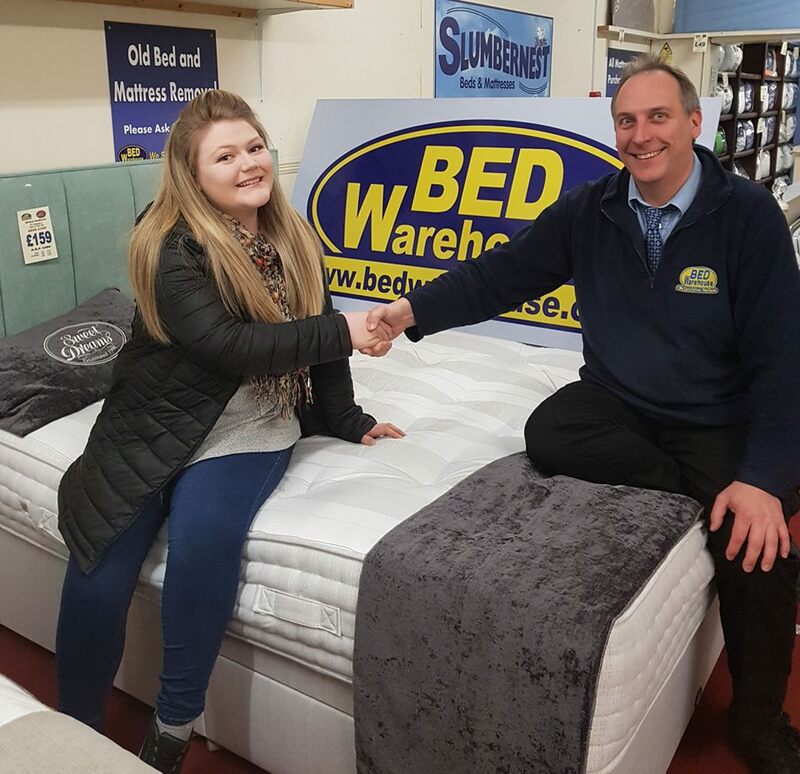 Follow Bed Warehouse on Facebook to learn about upcoming competitions and offers! 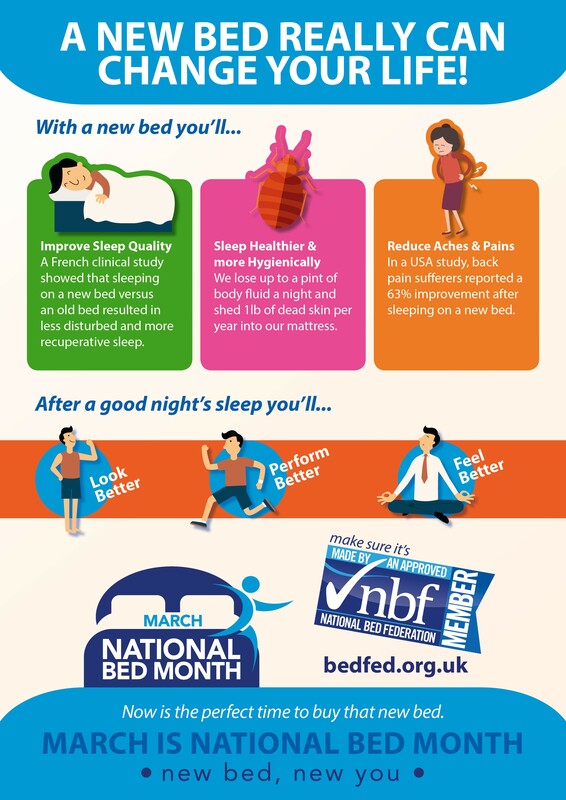 To celebrate National Bed Month we’re offering six top tips on how to get a good night’s sleep! According to The Sleep Council these are the most important things you need to make sure you get a good night’s kip! 1. Invest in your sleep with a comfortable, supportive bed. Yes it might be National Bed Month, and yes the focus is on beds, but what you sleep on plays a huge part in how well you doze. A bed with the correct support, comfort and space will ensure you wake less, move about less, aren’t disturbed by your partner as much and are less likely to wake up feeling tired or aching. Remember, if you’re not comfortable in bed your sleep won’t be as deep. Why change your bed every seven years? But why do the experts say you should change your bed at least every seven years? It isn’t just a lack of support, a build-up of moisture and shed skin cells make old beds a breeding ground for the common dust mite... a grim thought! The older your bed the less likely it is to be of the new generous sizes available, like king and super king size. An old double bed at 4ft 6ins gives each partner just 2ft 3ins of space – that’s the same size we give a baby! The Furniture Industry Research Association reckons a bed’s materials will have deteriorated by as much as 60 to 70% after seven years. In seven years you spend 20,000 hours – or 850 days, nearly two and a half years – in bed, tossing and turning as much as 60 to 70 times a night! No wonder beds wear out! WIN this fantastic double divan bed! As part of National Bed Month, we’re giving away this fantastic double divan bed! The Grampian Ortho bed is one of our most popular models and is manufactured in the UK by Sweet Dreams. It consists of a double-sided spring mattress with sumptuous layers of fillings, set on a divan base and with a firm feel. No cash alternative is available and the winner will be expected to take delivery within one month of the closing date. Marie Watling was the lucky winner of our Deluxe Hypnos Pillows! Her daughter-in-law Jessica Machin called in to our Scarborough showroom to collect the pillows and was delighted. Watch out for more competitions and offers coming up soon! 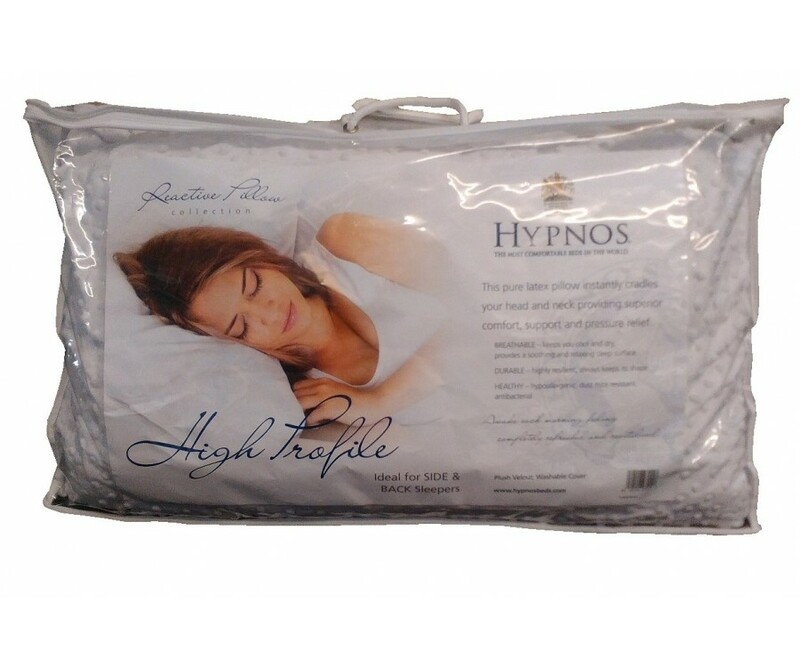 A HUGE thank you to everyone who entered our competition to win a pair of Luxury Hypnos Pillows. The competition is now closed and we'll announce the lucky winner shortly!